A new academic year is fast approaching, and no doubt you’ll have some INSET or Teacher Training days coming up very soon. 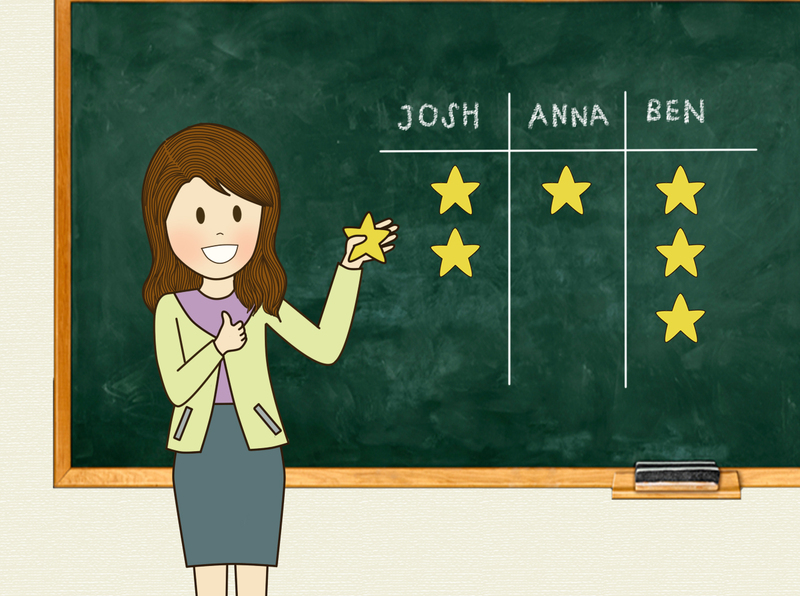 One of your first duties might be to do up your classroom and make it look pretty. A warm, inviting classroom that’s colorful, fresh and light can really benefit your students. 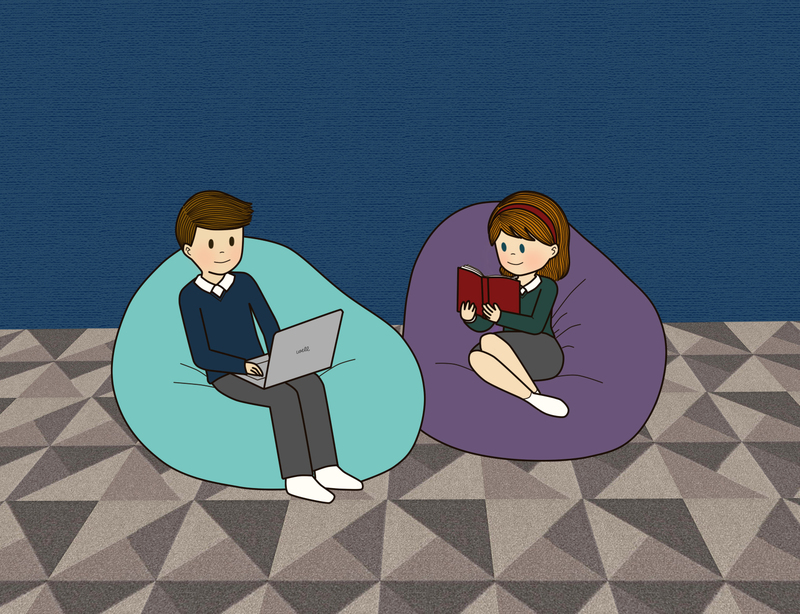 In fact, expansive research published by the University of Salford shown that well-designed classrooms can improve learning progress in primary school pupils by up to 16%. This was the first time that clear evidence of the effect of the physical classroom environment on learning was established. Oftentimes, teachers are stuck with the classrooms they are given. If your furniture is old, natural light is bad or the air-conditioning isn’t perfect, then it’s tough luck. One thing we can change, however, is the quality of our displays. Other aspects of the classroom environment can also be adjusted alongside this (See my article about this here: The Starbucks Protocol), so don’t neglect that side of the equation either. So what are the best ways that we can create beautiful classroom displays? Provide opportunities for students to complete large projects (groupwork lends itself well to this). A number of parameters can be celebrated: attainment on tests, sporting achievements, progress made on a project, etc. Possibly use this kind of display to track progress on a project the kids are doing (e.g. you could have a large column for each group, where each lesson one group member adds a few bullet points to summarize what the group did). Every subject has its own set of key terminology which is essential to understanding and expressing concepts, contexts, events, and processes. They can motivate students to get moving on their projects and coursework, such as their IB TOK Presentation. When mission statements specific to courses are displayed, discussed and applied (e.g. the IB Learner Profile), they can provide students with valuable principles that will guide them their whole lives. Think of ways in which the statements apply to your subject area, and display that (e.g. We are thinkers – ‘We critically evaluate our experimental methods and use the lessons learned to modify future methods). Include a paragraph or two of each person’s story. Make the text large. Emphasize the fact that they all worked hard in the face of adversity. Display the model answers yourself, but get the students to annotate the answers in colored pens with the marks given at each stage, plus reasons why. SAFETY: Make sure no hard parts stick out too much. I once remember a display on the corridor in an old school where a glass trophy was displayed on a glass shelf, at about head-height. A partially blind student walked into the shelf and really hurt himself. Vital for exam preparation classes – they need to know what % each exam paper counts for, what their coursework is worth, etc. A few days ago I was strolling through Em Quartier’s sprawling Kinokuniya book store in the heart of Bangkok. I wasn’t looking for anything in particular since I was already reading through three books simultaneously. I was just looking for anything that would catch my eye. On my way out of the store, I glanced over at the Special Offers shelf. 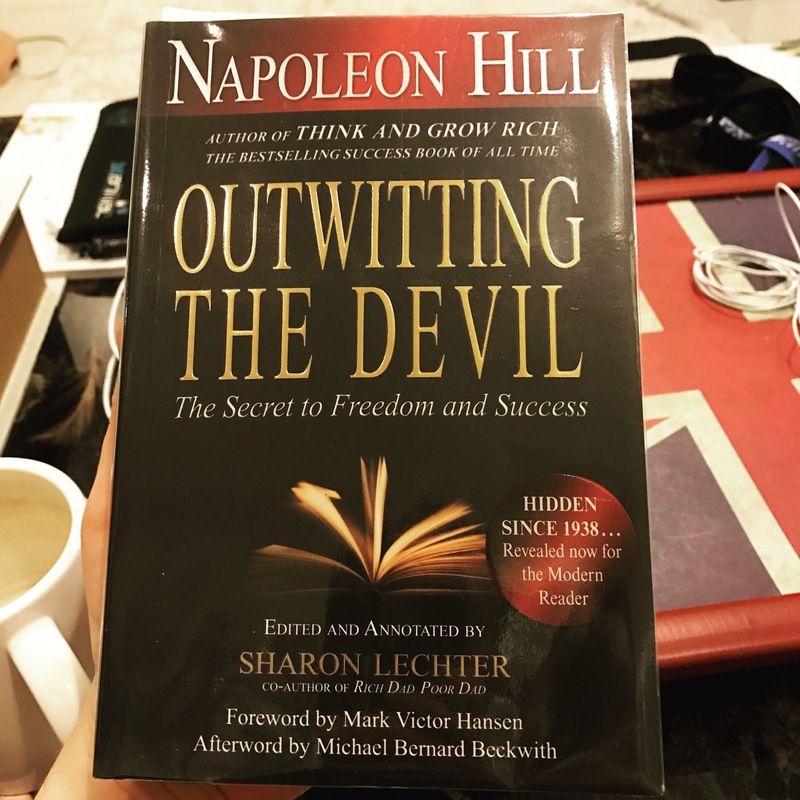 I saw ‘Napolean Hill’ sprawled over the cover of what looked like a very unusually entitled book: ‘Outwitting the Devil’. I finished the book in two days. It absolutely amazed me. Napolean Hill sets the scene in his book by describing the recent pain, suffering and dread he was going through. He describes being totally broke after making a number of unwise decisions to leave behind businesses he had started. His interview with the Devil starts at his second peak of total despair in his life – totally out of money, sat in front of the Lincoln monument wondering what to do with his life. Napolean Hill makes it very clear in his book that he really believes that the Devil came to him at his lowest point and answered his questions. The entire interview was produced in manuscript form in 1938, but the entire Hill family were so concerned about the way it would be received by the churches, the education system and society as a whole, that they decided to keep it locked away. 1. Reverse the present system by giving children the privilege of leading in their school work instead of following orthodox rules designed only to impart abstract knowledge. Let instructors serve as students and let the students serve as instructors. In my article on differentiation, I describe a great technique for getting individual students creatively involved. The technique is talked ‘teen teachers’, and involves getting students to teach a sub-topic or topic every now and again to the whole class. Oftentimes this is done as a revision aid, rather than a way to introduce new knowledge to a class. Surely we can’t trust students to teach themselves! Hill’s Devil seems to imply by this quote that students should be involved in the curriculum design and then decide how to teach it, with the teacher being a stimulator of ideas, facilitator and behaviour manager. Thankfully, we are seeing a move in this direction in a number of schools, especially with respect to getting students to be more involved in teaching themselves (the use of instructional software and project based learning for the International Baccalaureate come to mind). However, we’ve yet to see massive strides take place in the area of student-led curriculum design. Is this a good idea? Certainly, students would learn tremendously important skills such as collaboration, problem-solving, creative design and leadership qualities; all of which are vital in business and management fields. But how would all of this be assessed? Does it need to be assessed? all students how to recognize practical ideas that may be of benefit in helping them acquire whatever they demand of life. The Devil makes the point time and again in the interview that successful people always have definiteness of plan combined with definiteness of purpose. When one has goals in mind and works towards those goals every day, ideas naturally come along in the process. These ideas should be written down in some fashion and pondered, say on a weekly basis, to determine which ones are valid and reasonable to implement towards the pursuit of those goals. How many students leave school actually knowing this stuff? How many kids have no clue what they want to do with their lives at age 18? All too often we quickly suggest that a clueless 18-year-old is just young and inexperienced and it’s perfectly normal and fine to not know where you want to go in life at this age. He argues that people without goals are ‘drifters’ – shaped by the circumstances they find themselves in rather than shaping those circumstances with their thoughts. How much goal setting actually takes place in schools these days? I’m not talking about ‘I’d like to get a grade C in maths’ goals, I’m talking about ambitious, long-term, life-shaping goals that are truly inspirational. 3. Teach the student the basic motives by which all people are influenced and show how to use these motives in acquiring the necessities and the luxuries of life. Since a young age, I’ve wondered why human psychology, conflict resolution, and human relations aren’t taught in any great detail in today’s schools. Surely these are vital skills, right? What’s more important at the end of 15 years of schooling – knowing how to perform Integration by Parts or understanding how to negotiate with people? We hear the saying “It’s not what you know, it’s who you know” all the time, but how is this ever reinforced in the education system? Hill makes a valid point that knowledge of common courtesy, respect (for yourself and others) and good communication skills form the fabric and fiber of every successful person on the planet. Surely our students need to know this, right? ‘Was machst du am Wochende auf?’ – That’s German for ‘What do you do on the weekend?’. I haven’t studied German for 20 years, but I still remember the overwhelming majority of the words and phrases I was taught for my GCSE. I was lucky to have a brilliant German teacher. She, like all of my teachers at North Wales’ elite St. Richard Gwyn High School, was a Champion Teacher. Champion teachers like her literally have the power to make the wildest dreams of their students come true. They inspire, they care and don’t give up on you. Let’s examine the features that all Champion teachers share. You’ll find that everything on this list is believable and achievable. Whilst this is not exhaustive (please add any more you can think of in the comments below, on my Facebook page or please tweet to me), it does include the core elements that all Champion Teachers share. Let’s look at each one, one at a time. Champion teachers understand that they are always communicating something about themselves. The way they dress, their tone of voice, their posture, their habits, their cleanliness and even their table manners at lunchtime. They understand that students learn the majority of their behavioural and moral features not from what they hear in a typical classroom, but from the subliminal cues they pick up from their environment on a daily basis. Charlotte was a high school chemistry teacher in a comprehensive school in England. She was also responsible for teaching lower school (KS3) Science. She enjoyed her job but didn’t really like teaching about health and fitness in the biology classes she was required to teach. 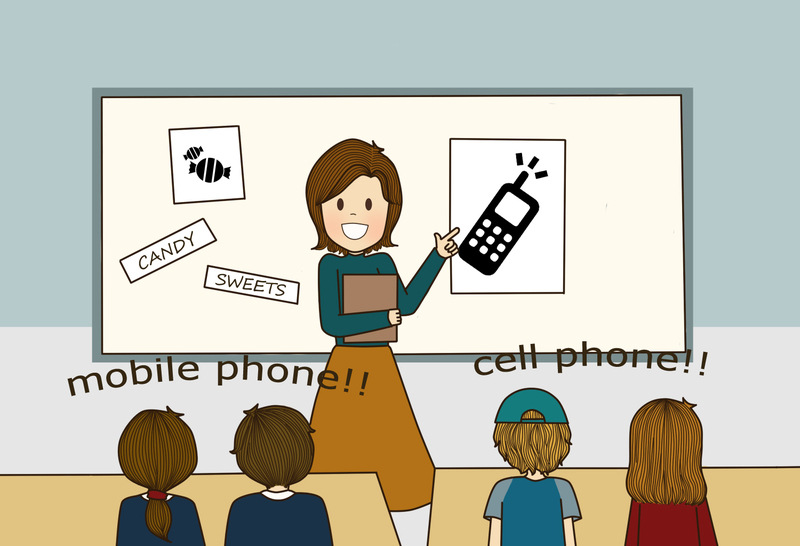 She always found that the kids were disruptive and even make silly giggles whenever she talked about any topics relating to health. Then, one day, she found out why this was happening. She found a note on scrap paper left on a student’s desk. The paper shown a drawing of Charlotte smoking a cigarette in the fume cupboard of her prep room. Then she remembered, a kid had walked in there one lunchtime a couple of years back and had caught her smoking. She went ballistic and told the boy off for walking into the prep room without knocking. This story reminds me of a key phrase an old colleague of mine once said: “There’s no such thing as an off-duty teacher”. How can a Science teacher lecture kids about the dangers of smoking when she’s smoking in school? How can the P.E. teacher maintain his credibility when he’s seen scoffing jumbo beef burgers downtown, posting pictures of himself binge drinking with his mates on social media and then turning up to school drained and out of shape? Turning up late: Be organized and be on time. That counts for lessons, meetings and your required start time for the day. How can we expect our students to be on time if we are not? Looking dirty or shabby: Keep your clothes in good order. Schedule your free time to get them all cleaned, dried and ironed. Shoes should be shiny and/or clean too, and try to wear different clothes each day. You don’t need to break the bank for designer labels – neatness and tidiness are the themes to remember here. Using foul language: Be particularly careful when talking with colleagues on corridors or open spaces. If kids are walking past and you’re swearing, it doesn’t look good and sets the wrong kind of example. Websites: Be careful what you look at on your mobile device or computer whilst in school. Students can suddenly turn up behind you and see what you’re doing. If it’s something that you wouldn’t want a student to see, then don’t view it. What’s your aim when you go into school? Is it to just to ‘get through the day’ or is it to inspire your students? Champion Teachers always start their day the right way. I wrote a blog post about effective morning routines for teachers a while back, but basically the idea is simple – set yourself up to win each morning. My German teacher had lots of energy. She would even give up lunchtimes to help me with my speaking practice. My maths teacher would also give up her free time to help me with my questions and problems. Are you willing to do that? Keep the success and wellbeing of your students your primary focus at all times and watch success and fulfillment magically come your way. The greater the challenge, the higher the probability that one seeks and needs feedback, but the more important it is that there is a teacher to provide feedback and to ensure that the learner is on the right path to successfully meet the challenges. Assessment should be used to inform teaching (if students have not understood any content, then you need to plan ways to address that). This would require a whole book in itself to talk about (and I highly recommend my debut book, The Quick Guide to Classroom Management, if you want a series of great tips and ‘teachniques‘ to enhance your teaching). In essence, it all boils down to variety. Are you providing enough variety of tasks, activities, and challenges each lesson to engage your students? You don’t need flashy technology or special skills to do this. Try implementing some simple learning games, use a greater variety of worksheets, tasks, and questions and try using model building, experimentation and practical activities in your classes. Find out what works for your colleagues. Join online communities such as Facebook groups and get the ideas flowing! I was a very shy and sensitive little boy when I was 11 years old. I was bullied too, and I would always go and see my Head of Year for help when things got too tense. He always had a sympathetic ear and always had time for me. I cringe when I look back at how childish I was back in Year 7. One snowy day I walked onto the playground and tried to join in the fun of throwing snowballs. Stupidly I went to the bottom of a grass verge and tried to throw snowballs uphill. I bet you know what happened next. A flurry of icy cold pellets of snow hit my face and body. A whole army of school kids turned on me and I was covered in snow. It dripped down my back, my face hurt, my ears rang. I started to cry. I immediately went to my Head of Year’s office and he was very sympathetic. He said ‘Oh Richard, what’s happened?” and he put his hands over my ears to warm them up. He sent me on my way. Looking back, all I really needed that day was assurance that someone in this world cared about me. The sympathy of my Head of Year was enough to stabilize to my mood and keep me going that day. Kids go through all kinds of problems when they are in school. Be sympathetic. Understand what it’s like to be kid vying for attention, popularity and parental approval. Consider that you may not know everything that’s going on in a person’s life, even if he or she is your student. This is one area of danger that teachers can unwittingly walk into. Call it the Big Brother society if you like, but no one can deny that we are under more surveillance than ever before. I’m not condoning or agreeing with the way that everyone’s lives are open for all and sundry to see, but it is an important consideration that wasn’t a problem a few decades ago. John was a high school Geography teacher who loved to play in a band. He had his own YouTube channel and was growing in popularity throughout the underground clubbing scene in Los Angeles. He released a new video. In this video, there was swearing and scenes of him drinking beer and waking up semi-conscious. Covered in tattoos with spiky hair to match, he looked like the pop-culture rebel many were waiting for. His principal didn’t think so. He was called into a meeting after a number of parents had complained, and a number of students had even commented on his video. He was asked to resign, with immediate effect. Champion Teachers understand that there is no such thing as an ‘off-duty teacher’. They care about their students, no matter who they are, and they behave in ways which are acceptable to the marketplace. They are dedicated, constantly review their methods and are not afraid to keep up to date with effective pedagogy. It was a warm September Sunday evening back in 2006. I was in my second week of my first teacher-training placement for my PGCE. My mentor wanted all of my lesson plans, as full A4 rubrics filled to the brim with activities, learning outcomes and all manner of wonderful musings. I was in hell right now. Back then I was required to plan my lessons in a certain way. It was difficult – it took up lots of time, required multiple discussions with many people (including the subject teachers who would observe me) and often involved re-drafting multiple times before a perfect plan was complete. Was it a waste of my time? Looking back, I can honestly say NO! It was worth it. I was completely inexperienced back then. I made many, many blunders. The year of hell that was my PGCE was exactly that – my baptism by fire. It forged me into a capable teacher, albeit still with much to learn. If you’re going through the same hell that I went through, then keep going! There is light at the end of the tunnel (and it’s not an oncoming train). When I passed my PGCE and started teaching for real, I knew what that year of pain was all about – getting me ready. It was so nice to be finally trusted to teach classes on my own, without being observed every single lesson. Listen to your mentors and tutors. Do what they say. Don’t argue with them. Listen to feedback, however negative, and genuinely ask for help and solutions. Act on the advice you are given. Regardless of how many mistakes you make (and you’ll make many), you’ll be widely admired if you can accept your blunders, seek counsel and try your best to make progress. I was honouredto feature in this week’s UKEd Podcast from UKEdChat.com. I appeared alongside a number of guests, and we all vehemently agreed that lesson planning is a vital component of effective teaching. You simply can’t do this job properly if you skip the planning stage. In fact, it’s so important that I even dedicated a whole chapter to planning in my debut book: The Quick Guide to Classroom Management. But does it need to take ages and ages? Should it be a chore? Absolutely not! This is a message for schools as much as it is for teachers. When a particular method of planning is forced upon a team of teachers, such as filling in a rubric on paper or online, the whole process can become burdensome and unenjoyable. This is cause for regret. Lesson planning should be enjoyable. Find a method that works for you personally. The methods of lesson planning that I use personally have changed and evolved over the course of my career, just as I have changed and evolved too. The methods I use work for me, and that allows me to express myself in the best and most natural way possible. When teachers do not have the freedom to plan their lessons in their own way, their creativity and self-expression become stifled in the process. Whilst a lesson-planning rubric may be essential for a trainee teacher, schools should not aim to enforce rigorous planning strategies on their entire teaching team. This serves no purpose except to reinforce authority, which can cause resentment. Now, here’s a funny question: Do you enjoy lesson planning? Most teachers would say ‘Are you kidding?’. However, I can honestly say that I do love the process of planning. Every Sunday morning I get up nice and early and read over my plans for the week just passed. This allows me to review what worked well and what needs improving, and where to go next. Then, I pen in my plans for the whole week ahead.I personally usethis plannerfrom Teacher Created Resources, as it has a nice clear layout and allows me to make special notes for each week (such as house points and homework deadlines). I also like using the TEEP Learning Cycle. There are a number of colourful, teacher-friendly planners available from places like Amazon, which really help to make the lesson planning process fun. And lesson planning should be fun. If it isn’t fun for you, then something needs tochange. You’ll often find that there are many great workbooks full of activities and worksheets published and ready for you to use. A small investment of money in resources like this can save you loads of time that you may have spent making resources from scratch. This can be as simple as getting the students to stand at the front of the class and do some quick-fire questioning, playing a learning game or even getting groups of students to verbalise their own summary. There’s no point in reinventing the wheel. Keep your planners safe and organised and use them again and again when you teach the same or similar content. Modify as you go along. Surprisingly, very few teachers do this. You’ll be surprised at the wealth of information available. I’ve personally done this many times in the past. A quick search on a search engine can pull up many documents that you can use, modify and change to suit your own lesson planning. Why do everything from scratch if a lot of stuff has been done for you? It makes no sense to me. All examination boards produce Course Guides or syllabuses, and some will even provide Schemes of Work. Use the content from these to inform your lesson planning, particularly if you’re filling in an ‘Objectives’ or ‘Learning Outcomes’ section. You’ll often find that those objectives and learning outcomes are published in the Course Guide, syllabus or the exam board Scheme of Work already. 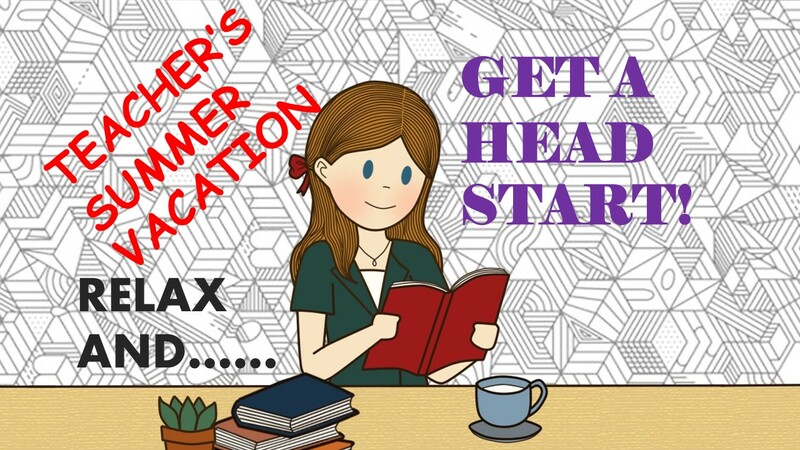 If you teach students who will take exams in May, for example, then you should know which exact topics you’ll need to cover each month in order to give you enough time to do revision and get the students ready for their exams on time. It shouldn’t be a chore. It should be enjoyable. Use what works for you. Try out some of the lovely planners available on places like Amazon. Start each lesson with a quick starter activity. Build this into your planning every time. Look after your planners and plans. Reuse them, modify them and adapt them as each year passes. Look for lesson plans online. You’ll be surprised at what you find! Use the Schemes of Work, Course Guides and syllabuses published by your school’s exam board to help you articulate your personal plans. Take a long-term view. How many topics can you realistically cover in one month? Check your academic calendar for any events that might scupper your plans and interfere with your lessons!